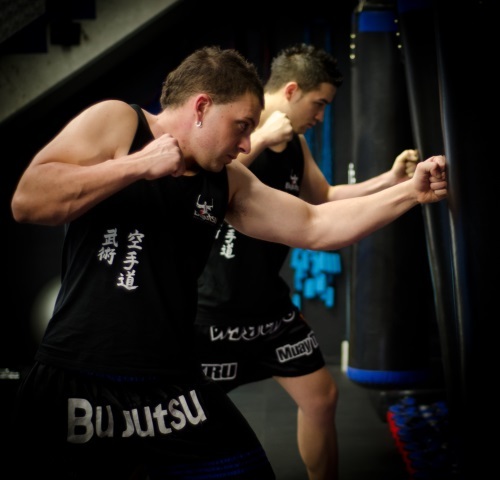 Bujutsu Martial Arts and Fitness Centre runs boxing for fitness classes. Our classes are designed for women and men who are looking for a high intensity cardio work out in a safe family friendly environment. All classes are led by qualified personal trainers. Bujutsu Martial Arts and Fitness Centre Boot Camp classes are very popular. We have one of the best equipped gyms in Australia, so you can be assured our programs are not boring or repetitive. All of our boot camps are run in our indoor facility, so no need to worry about the sun, heat, wind, rain or wet grass. We are always able to train. These classes are ideal for weight loss, burning calories improving your cardio fitness and toning your body. All classes are led by qualified personal trainers.